We cannot say with any certainty exactly when the guitar first appeared in Hawaii. 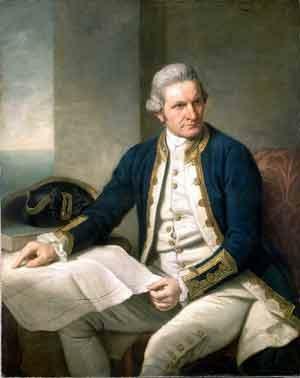 As one source so aptly states, "Every ship that came to the Islands since Captain James Cook first landed there on January 19, 1778, could have brought the Spanish style guitar with it". 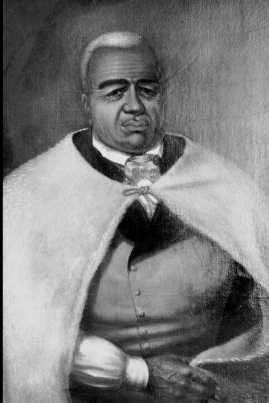 King Kamehameha sends eighty of his men to California to fight for the Argentinean navy of Rio de la Plata. It seems likely that these Hawaiians were in contact with the guitar. 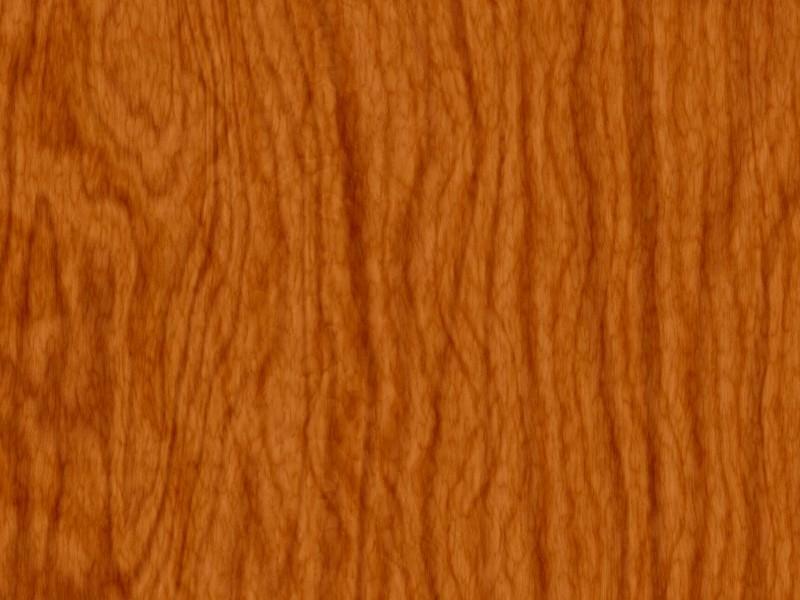 It is generally agreed that guitars were brought to the Hawaiian Islands by Portuguese immigrants (and possibly on New England and European whaling vessels) around the beginning of the 19th century and into the early 1800's. 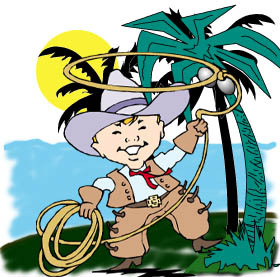 Guitars are brought to Hawaii by Mexican and Spanish vaqueros (cowboys), hired by King Kamehameha III to teach the Hawaiians how to handle an overpopulation of cattle. (Note that, a year later, in 1833 the guitarmaker C. F. Martin arrives in the United States from Germany). Plantation owners import Mexican, South American, and Californian cowboys to work on the ranches. Some of these cowboys bring their guitars. This new instrument intrigues the Hawaiian cowboys, or paniolo, as they come to be called (a word derived from espanol or "Spanish"). We know for certain that guitars are available in Hawaii by 1840, when The Polynesian runs an ad for guitar strings. Portuguese immigrants from the Azores islands introduce the steel-string guitar, or vihuela (viola) to Hawaii. The Azores islands, located eighty miles off the coast of Portugal in the Atlantic Ocean. 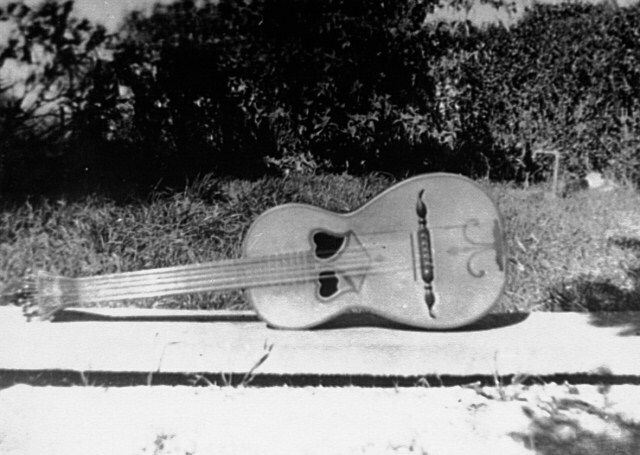 A Viola d'arame from the Azores, in use in 1939. 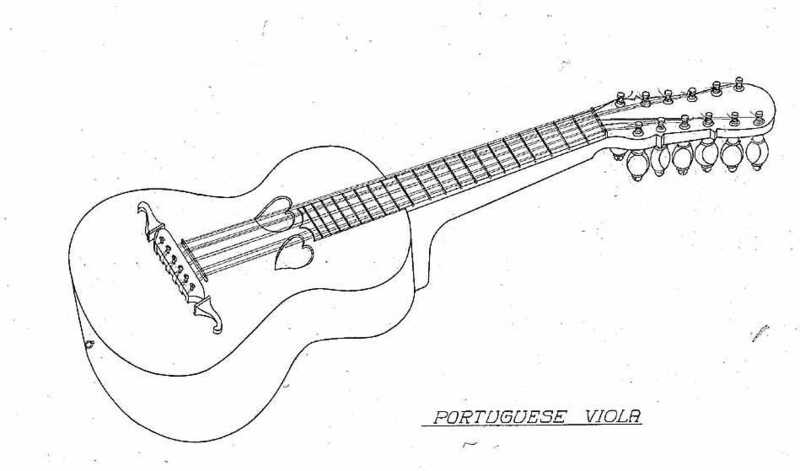 J. Ross Browne, describing his voyage on the ship The Bruce, states, "The Portuguese had a guitar, or viola, as they called it, with wire strings". Japanese diplomats visiting Honolulu in 1860 report hearing people playing "Hawaiian guitar, violin, and castanets". 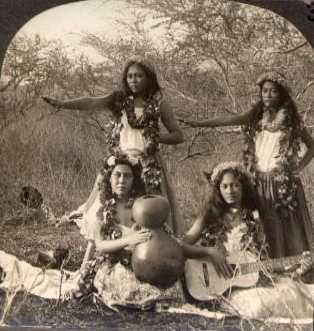 Native Hawaiian women dancing Hula, accompanied by drum and guitar. 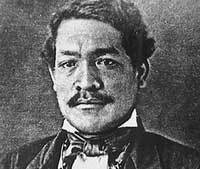 The first Hawaiian song is published in sheet music in the United States. 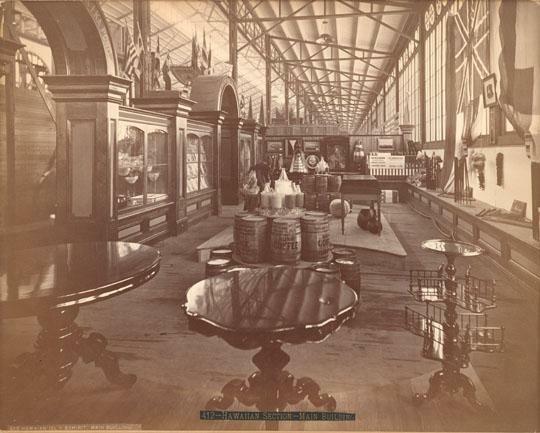 The Centennial Exhibition in Philadelphia (the first "World's Fair" in the United States) features a Hawaiian Islands Exhibition in the Main Hall. Pictured are furniture items, sugar, and coffee.